G.E.N.T.S. | Wall Street Alphas Charitable Foundation, Inc. The Alpha G.E.N.T.S. Mentoring Program was created to help young men of color between the ages 13-18 develop the skills needed to become productive, responsible and successful members of society. A core curriculum set to target key development areas for our young scholars and mentoring helps to transmit these needed skills and also serves to form a bond of responsibility and accountability between the young men and their mentors. In the spirit of fostering holistic learners we, an assemblage of professional African and Latin American men, have gathered together to commit ourselves to developing students academically and socially. Through the G.E.N.T.S. program, it is our intent to facilitate an educational forum that will enlighten male students under the umbrella of self-awareness, career exploration and preparation. 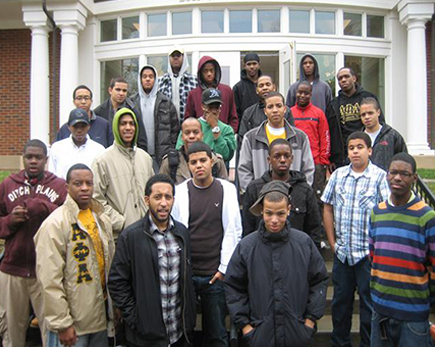 In the wake of an ever-changing society with consistent expectation and demands of the working world, we find it necessary to equip our African- and Latino-American males with the tools to succeed within and outside the haven of an educational institution. We commit ourselves to reshaping the attitudes of these young men and promote a positive, yet a realistic standard for our young men to become gentlemen. Young adult males face many obstacles. Whether at home, amongst their peers or at school, they are called upon to make life-altering decisions. In light of an increase in gang membership, underage substance abuse, high school dropouts and teenage pregnancy, a support system for our African and Latino American males is necessary. In the advent of such negative influences and obstacles, we must be proactive. As professionals, educators and parents we have observed from the trenches the social and academic issues that befall our young men, which ultimately hinder them from becoming successful adults. Having recognized the need, the G.E.N.T.S. program has been designed as a series of man-to-man workshops that will provide the proper venue to discuss, disseminate, organize, nurture and develop skills that will be useful. It is our plan to create an environment for male students to gain guidance from a host of professionals and educators who wish to help them to recognize their responsibilities to themselves and their community. We have three major objectives for the G.E.N.T.S. program: Our first objective is to help students to obtain self-awareness. The second is to develop their cultural awareness and lastly to establish career goals and prepare them for the working world. Over a ten-month period these objectives will be addressed through a series of workshops. By the end of each academic year, it is our hope that all in attendance would have gained a qualitative amount of information. During his time as an Alpha GENT, Wesley interned with York Capital Management, a New York hedge fund and with Deloitte & Touche as part of the YMCA’s Teen Career Connection. He was selected to intern with the Federal Reserve Bank of New York through the Ladders for Leaders Program and won two scholarships as a result of his participation in the program. He is a four-time bai Corporate Scholarship recipient. 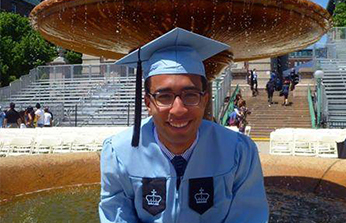 Wesley graduated from Columbia University in May 2014 with a major in Economics. Victor started with the Alpha GENTS program as a seventh grader and has taken full advantage of the resources provided to cultivate his leadership skills. While in high school, Victor raised over a thousand dollars for his senior expenses and won numerous scholarship awards. His leadership skills were further developed once he arrived at the campus of the State University of New York at Binghamton where he became the President of the Thurgood Marshall Society, President of the Pi Beta Chapter of the Alpha Phi Alpha Fraternity, Inc. and Political Coordinator of the NAACP. As he approaches his last year, he is preparing to take the law school admissions exam. He plans on applying to Harvard, Stanford, Yale, Columbia and NYU. Victor wants to one day become a civil rights attorney and ultimately a politician in New York. 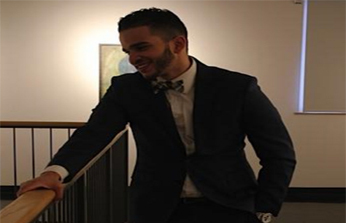 An Alpha GENTS success story – Johnny truly embodied what it meant to be a scholar, a leader, and above all – a go-getter. Graduating from the Alpha GENTS program in 2011, he was awarded a full-tuition scholarship from the prestigious POSSE Foundation to attend the University of Southern California where he is now majoring in Business Administration. During his time at USC, Johnny has already interned with both Viacom & The Nielsen Company, as well as built his own company from the ground up. 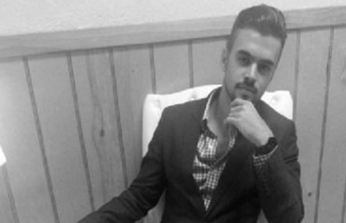 Johnny has always credited his success to the mentoring and guidance he received through the Alpha GENTS – something that he found unique and unlike any other program he has come across. As his graduation from USC approaches come May 2015, he plans to take his ventures global as he nears the next phase of his life. "We Need Your Help! Your donation will help our fundraising campaign to raise money for the upcoming 2014-2015 school year."